We were sent a complimentary Disney Music CD as part of Entertainment New Media Network. Giveaway is sponsored through the network by Adventures in Familyhood with prizes provided by Walt Disney Records. The opinions here are our own. 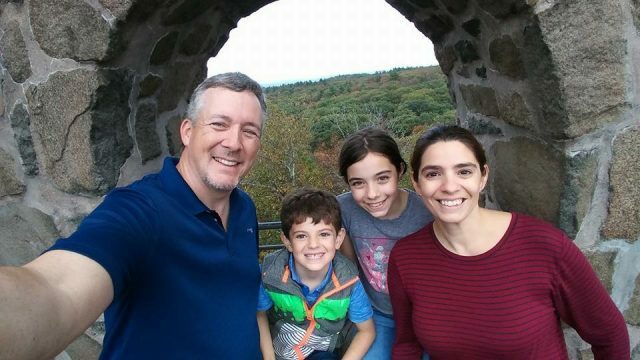 When it comes to our family and all things Frozen, we can’t get enough. As new Frozen product hit the market our immediate response is always “Yes, how much?” I think we have a problem. As if our obsession couldn’t grow anymore, Walt Disney Records is set to release a new Frozen music CD, Frozen: The Songs. I was recently given the opportunity to review the CD and am happy to add it to our ever-growing Frozen collection. includes a fold-out poster and stickers. 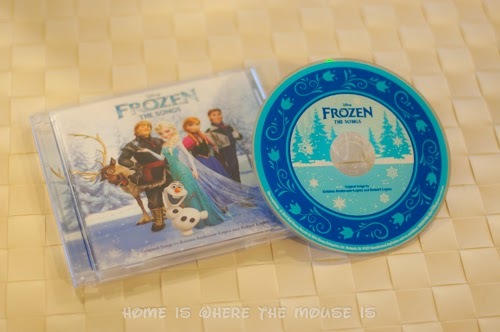 Our little Frozen fans can’t get enough of this CD. These are the songs that they love and know by heart. When we listen to the deluxe edition of the soundtrack, we usually stop after track 10. This CD has all of their favorites all in one place. The best part, in my daughter’s opinion was the free poster and stickers that came with the CD. She can’t wait to hang the poster in her bedroom and it’s a pretty decent sized one too.
) and will be on sale to the public starting September 30th. But before you rush over to get your hands on a copy, enter for your chance to win right here! 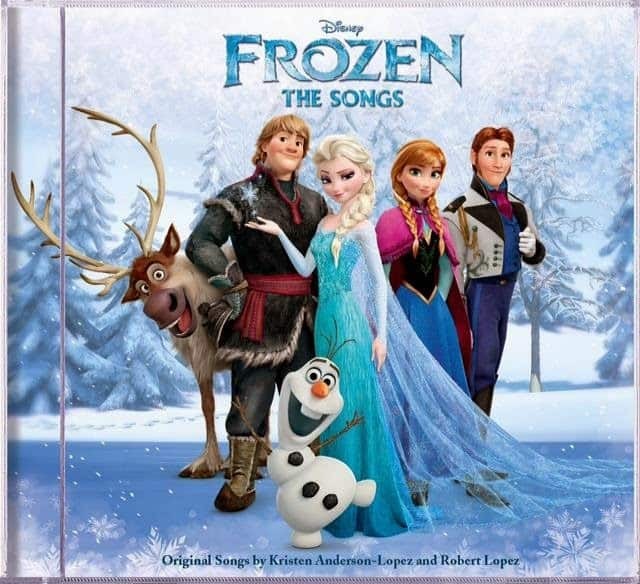 Two lucky winners will receive a copy of Frozen: The Songs courtesy of Walt Disney Records. Use the Gleam Widget below to enter.Giveaway will run from September 28 – October 3 at 11:59 PM. Winners will have 24 hours to reply. Prizes will be sent directly to the winners from Walt Disney Records. Please allow 6-8 weeks for shipping. We were sent a complimentary Disney Music CD as part of Entertainment New Media Network. Giveaway is sponsored through the network by Home is Where the Mouse is with prizes provided by Walt Disney Records. The opinions here are our own. I can't get enough of the music of Frozen! So many great songs! Frozen was written for the stage. I said it the moment I saw the film! The music is just fantastic! As I listen to this CD in my car I can't help but wonder- how long before this hits Broadway?!! I like For the First Time in Forever Song! I can't get enough of the music from Frozen. Each song is so uplifting and the performances are amazing! Thanks for offering this great giveaway.